People tend to abuse credit cards so much that they get into credit card debt more often than not. This happens because consumers cannot afford to return the credit limit offered to them on their credit cards. In case of financial difficulties, customers tend to neglect payments on their credit cards, as a result of which the debt piles up. Moreover, late payment penalties and high rates of interest can make credit card debt mountainous. The good news is that you can avoid all these credit card horrors if you use your credit card in a responsible manner. Using credit cards responsibly means keeping yourself fit to pay off your dues. For instance, if you use your credit card to splurge on a diamond necklace you don’t really need, but simply must have, you are abusing your credit card. On the other hand, if you are using your credit card to pay an important bill and then pay off the credit on time, you are using your credit card in a responsible manner. If you arrange things such that your expenditure does not exceed your income, you are using your credit card in a responsible manner. On the other hand, if you use your credit card on luxury items you don’t really need, but must have to maintain your status in society, you are abusing it. 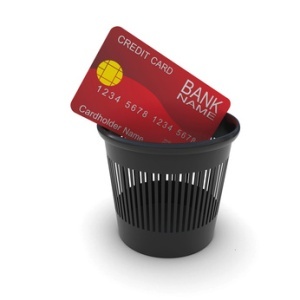 Many people stand guilty of using their credit cards to purchase a lavish lifestyle they cannot really afford. Whenever you abuse your credit card, you are killing your credit score. If you end up with a low credit score because you have abused your credit card so much that your debt far exceeds your income, you will no longer get higher credit limits and low interest rates on car loans, auto loans, and other loans. You will have to fall over yourself trying to pay back your debts and this marks the end of your financial freedom. Credit card abuse leads to low credit score, which in turn damages your opportunities to find a job, rent an apartment, purchase a house, and so on. The latest bankruptcy laws do not even allow people to declare bankruptcy easily to shake off their credit card debts. You must therefore avoid abusing your credit card if you value financial freedom and a debt-free life. You can easily avoid abusing your credit card if you start thinking of your credit card as cold hard cash and not really a credit card. Stop thinking that you can pay your dues later; if you can’t pay them off now, you will never. Purchase on your credit card only in case of emergencies, and if you have amassed a debt on one credit card, you might consider transferring it a zero interest or no interest credit card and pay it off as early as you can. If you are a credit card holder, the best option is to pay off your entire credit card balance on a monthly basis and save money in late fees and interest.